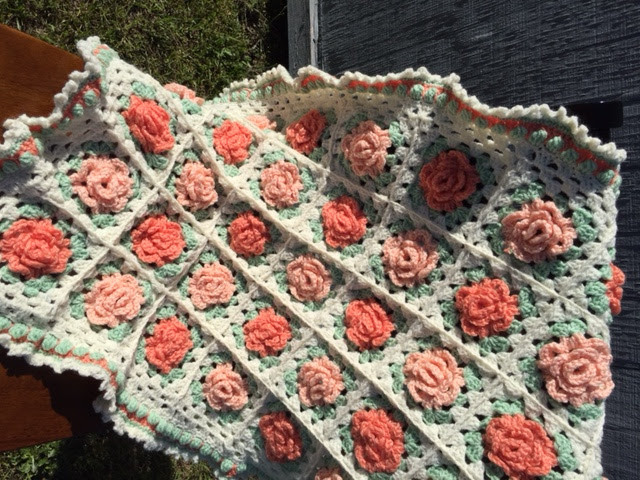 More of My Homies Granny Rose Afghans! 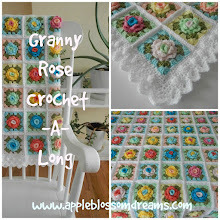 photos of their granny rose afghans! First this one was made by Carolyn - it's her third one! 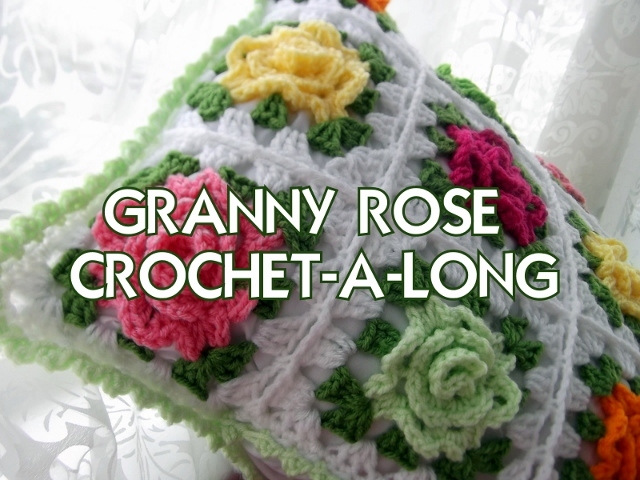 Check out the lighter shade of the rose color used for the granny row. 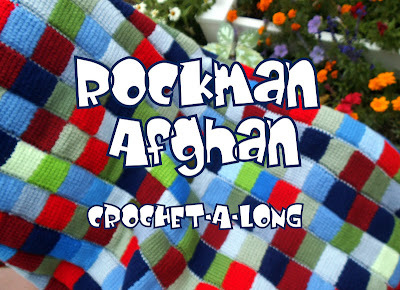 Here's a shot of the entire afghan. Cynthia has marvelously constructed and generously shared this with me to share with you. I love the soft green "leaf" row. Pattern for a "two toned rose" afghan can be purchased here. 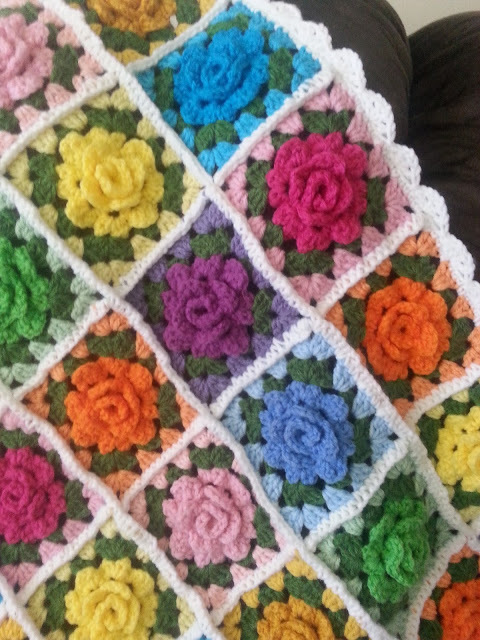 Pattern for a "one toned rose" pillow or afghan can be purchased here. 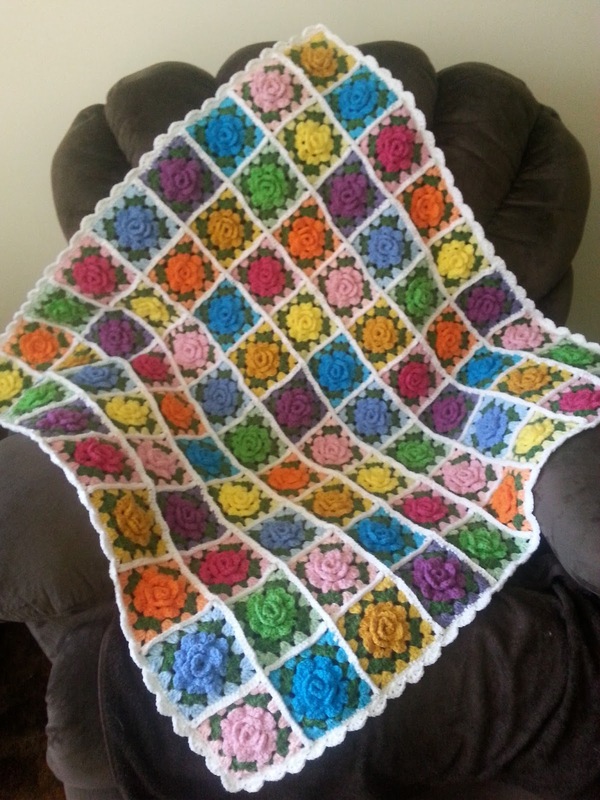 I hope you are enjoying the therapeutic effects of crochet! 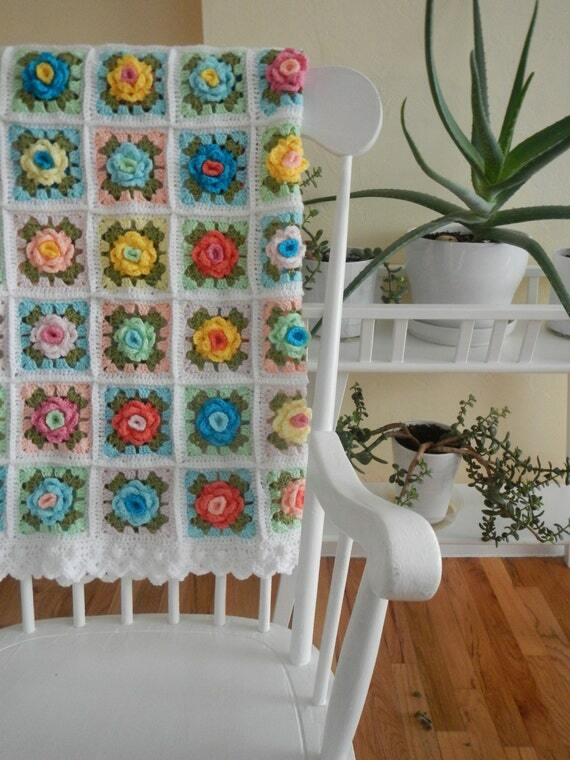 This entire chair will be recovered with these granny squares! The back cushion is finished now the cover for the seat is underway. The joining has started too! See the story behind this FREE chair from this post. 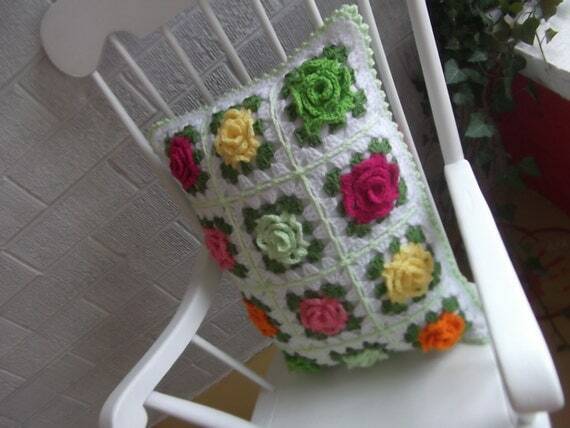 and with a finished back cushion from this post.